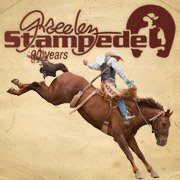 One of Colorado's legendary summer festivals.....The 90th Greeley Independence Stampede!! The Country Music Project is honored to have been selected by Northern Colorado's favorite country music station - Big Country 97.9 - to play immediately prior to the Luke Bryan concert. If you haven't seen TCMP at this fantastic event, then make this year your first!